1) I lived in Japan for some time, so learning the language was my top priority at the start. 2) Two and a half years, but only cause I was not interested in Visual novels before. 3) It was easy, I was already at JLPT N1 level and studying intensively, the kanjis was not complicated either, so no trouble in my first reading. 4) No, and never used. Worst top 3 that I've seen in Getchu awards. Rance in the second place says much about 2018. 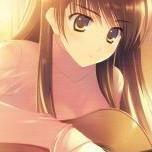 Does anyone know a white album 2 guide/walktrough ? What are the best visual novels that were released in 2018? Another year of weak Japanese releases (in my opinion), if you are not a Yuzusoft/Key fan that can digest anything that they toss at you, I can think of Haru to Yuki, Maoten and Shogun-sama wa Otoshigoro0. Lowering the level slightly, Butterfly Seeker and Hataraku Otona no Ren'ai Jijou 2 can be interesting. Don't farm MMORPG's while you are reading; Don't farm Mobile games while you are reading; Don't farm at all. Most of the times after the first hour playing I already know if the vn is finishable or not and just drop what is utterly garbage (like 100% of giga titles not named Baldr). Hey, i warned that there's a "twist" in her route, don't kill the surprise. 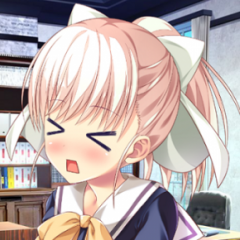 But thanks to that i remembered the best osananajimi route of all utsuges charages: Ayumu from Natsuyume Nagisa. Aina from W.L.O. if you want a good comedy story. Sena from Koi x Shin Ai Kanojo and Yomi from Himawari no Kyoukai to Nagai Natsuyasumi if you want a osananajimi story with a little "twist". It's IxSHE Tell, a slightly above average moege from Hooksoft. 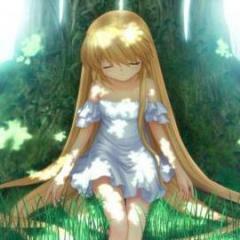 The character is Kozuka Yui. Though i not fully consider a nakige or a plot title, Ore-tachi ni Tsubasa wa Nai is one of the best character-oriented novel that i played, Manatsu no Yoru no Yuki Monogatari if you want a Key style nakige and Irotoridori no Sekai if you like the Favorite type of story. Excluding nakiges, maybe something like Tsuki ni Yorisou Otome no Sahou, Minamijuujisei Renka(more on the comedy side) or something like Fortune Arterial, that's what i can push from my memory of the lighthearted side. That's a surprise, i remember spending at least fifteen hours more in HoshiOri than Hatsukoi, maybe i skipped too much in the parts where the protag is the personification a complete retarded. Btw, in that comparison, you included the appends of Hatsukoi or just the base game? HoshiOri is probably in my top 3 charages of all time, so it's good to see more people have access to that piece of art, but it will take a while to translate the whole thing, that game is really enormous. And one more thing: Forget everything from Hatsukoi, he is like a garbage in fire when you compare with HoshiOri. Nukitashi can be a good read depending on how the comedy will be. Considering that the writers are rookies i will wait for the opinion of some eroge sommelier before make my mind. That game dropped in my ranks basically because of the Circus syndrome that is affecting BaseSon, after 5 or 6 other Shin Koihime i can't see this game in a good light.